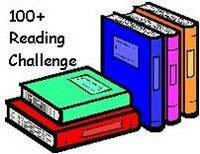 The 100+ Reading Challenge has its own blog, its own yahoo group, and its own shelfari group. The goal was to read 100 or more books in a given year. I know there are several weeks still to go on this challenge. But I've just totaled up my books from January 1 to November 30th, and I was at 377 books. (Not counting picture books.) For a list of each month's totals (title, author, page number, rating) visit my livejournal blog. I'll also be posting--either December 31rst or January 1rst--a total list of books read during the year. 377?? How do you find the time to read so many books? You're my hero. Yay!!! Congrats! That's fabulous!! I would love to be able to read 100+ books.....I was close but that was before baby Ethan lol. Way to go Becky! 377?! Serious envy . . .